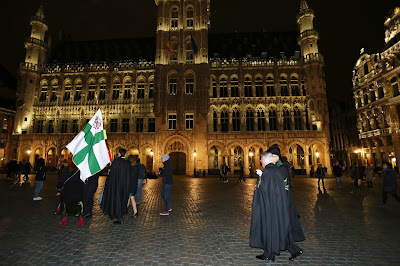 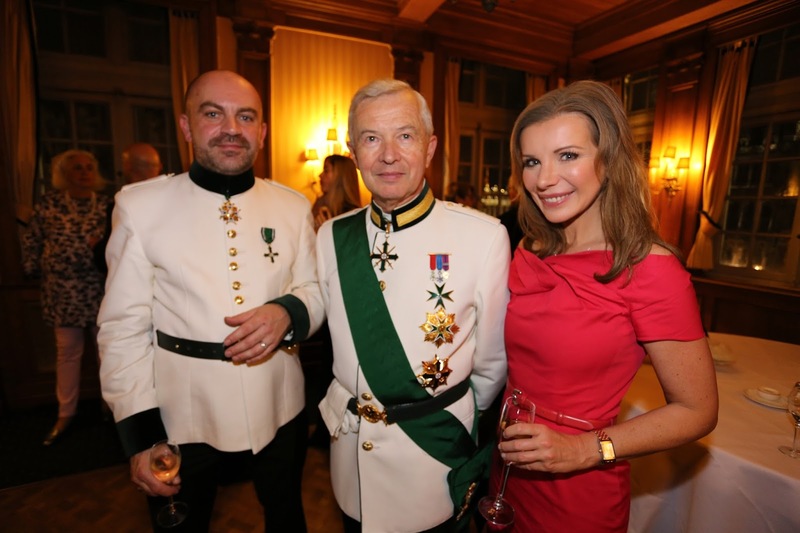 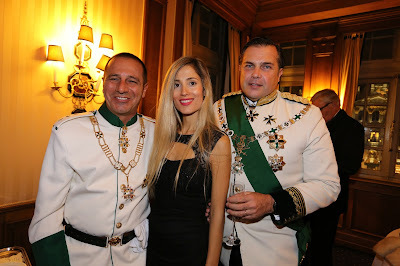 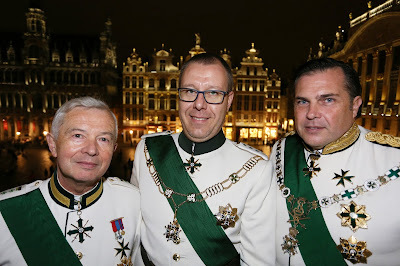 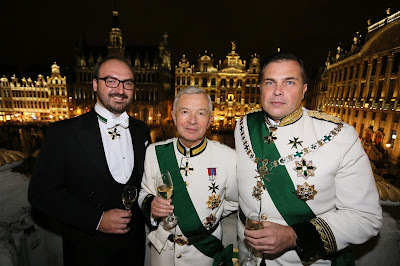 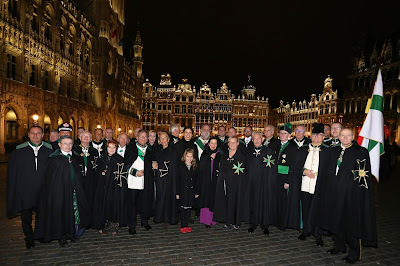 The Grand Master with members of the Order in the Grand Place, Brussels. 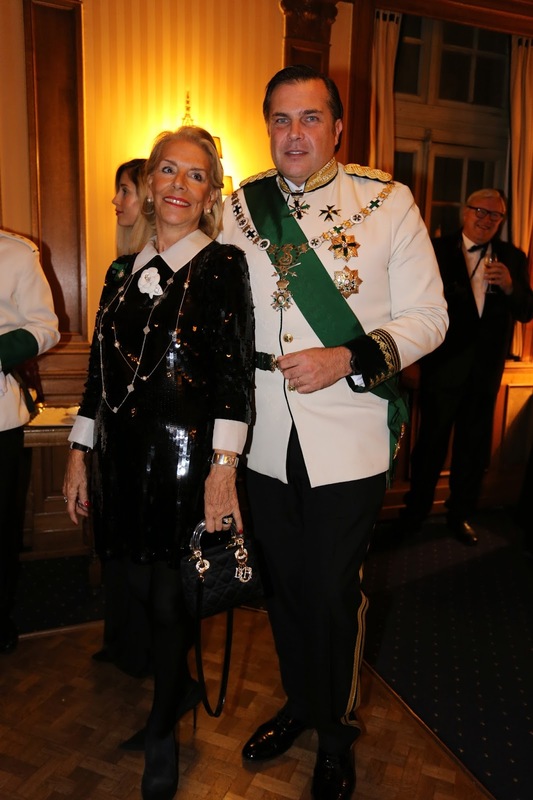 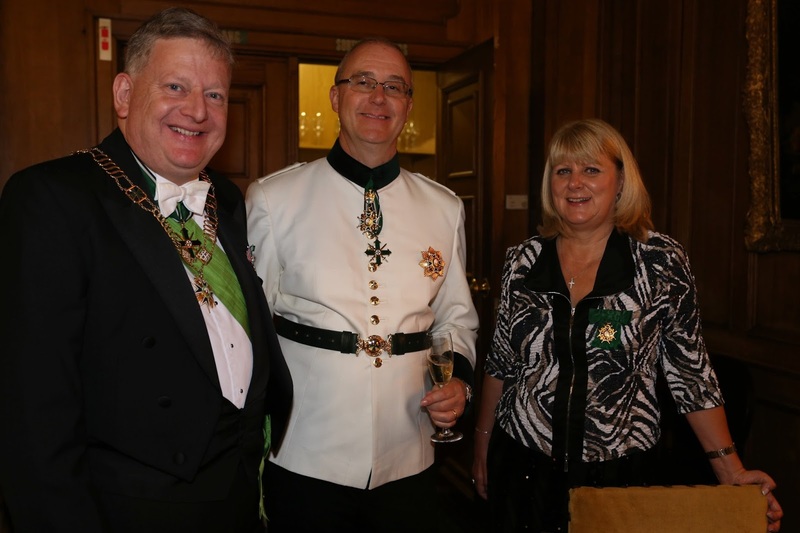 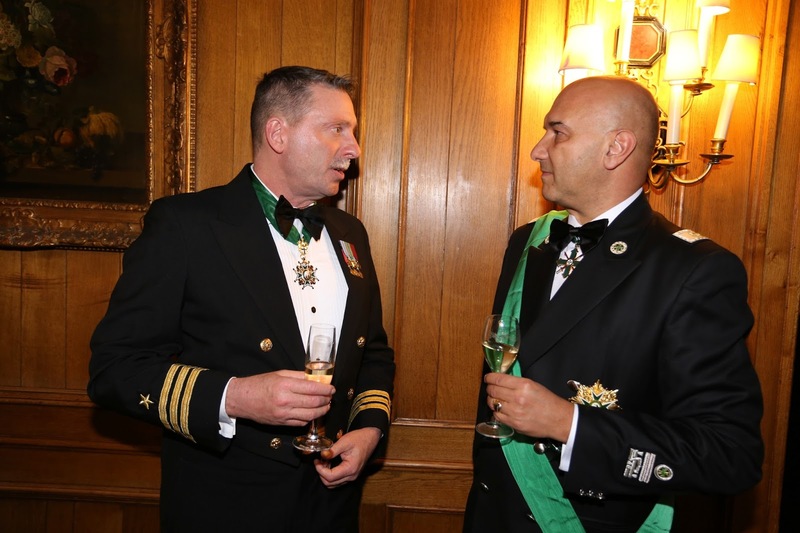 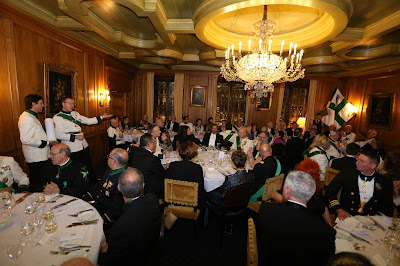 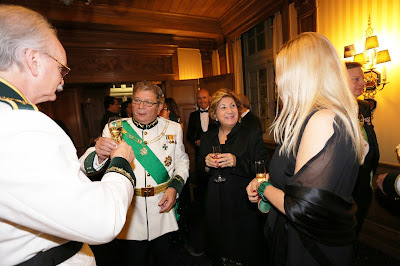 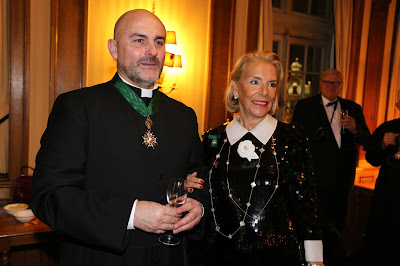 for the Gala Dinner following the Investiture Mass in Brussels last weekend. 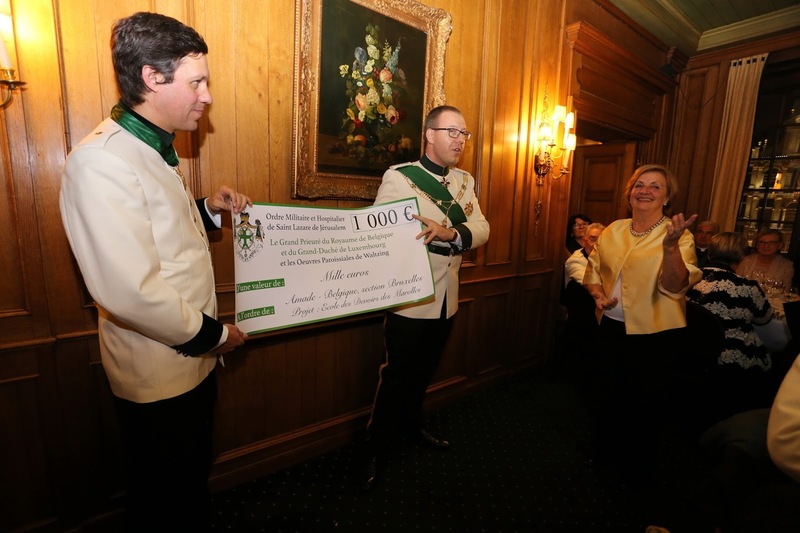 A cheque is presented to one of the charities supported by the Grand Priory of Belgium. 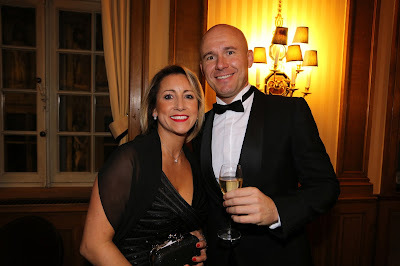 A reminder that our sparkling evening, whilst hugely enjoyable, also had a charitable purpose in mind. Bringing the members of the Order together to build up our efforts to help others through the many varied charities supported by the Order throughout the world is at the heart of our spiritual purpose. 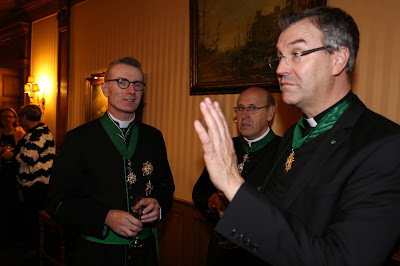 Building up Confraternity enables our Charity and builds up our Spirituality. A few photographs follow giving a flavour of the evening.